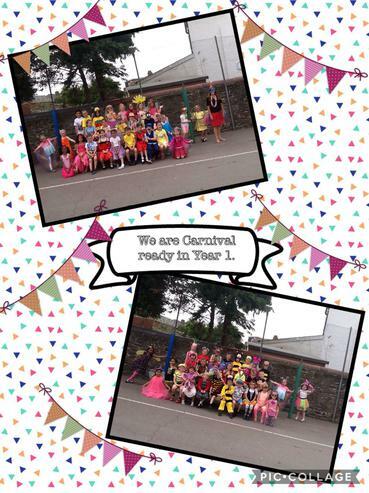 We had a lovely Carnival afternoon to end our topic and a lovely year. The children played games, danced and ended a very energetic Carnival with some tasty popcorn that they had made earlier on in the day. Thank you for providing such colourful costumes the children looked fantastic. 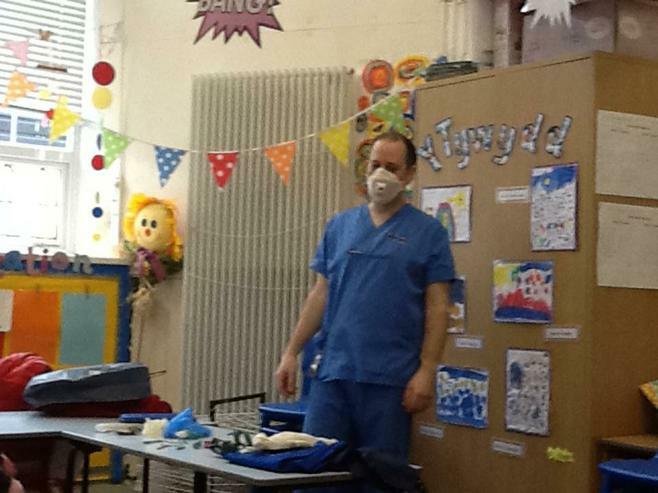 A big thank you to our real-life superhero, Mr Zirker, who came in to speak to the children about his job as a nurse. We had a lovely morning exploring Peterston Super Ely Primary and the local area. It was very interesting for the children to compare the two schools and area. 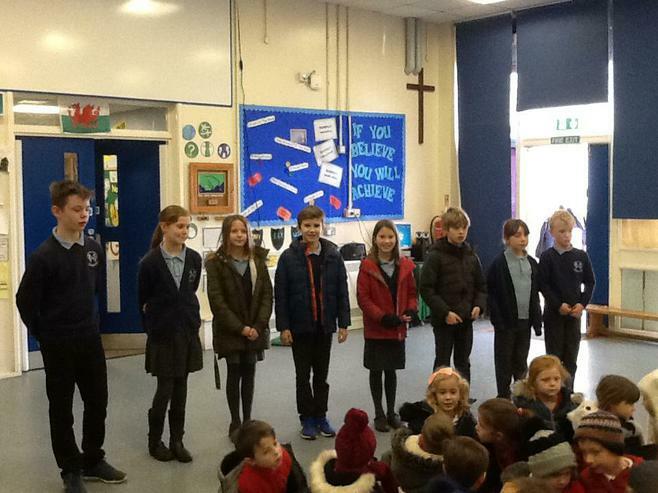 A big thank you to all the staff and members of the school council who gave us our tour and answered all of our questions. Trip to Peterston -Super-Ely Primary. Just a reminder about our trip to Peterston-Super-Ely (7.2.18). Please wear school uniform. We aim to back in school before lunch, therefore, lunch arrangement as normal. Thank You. All the Year 1 staff would like to wish you a lovely and relaxing half term. Hope you all enjoy Halloween and Bonfire night, stay safe and we look forward to seeing all your colourful photos when we return to school on Monday 6th of November. What a lovely morning at St Fagans for a toy workshop. 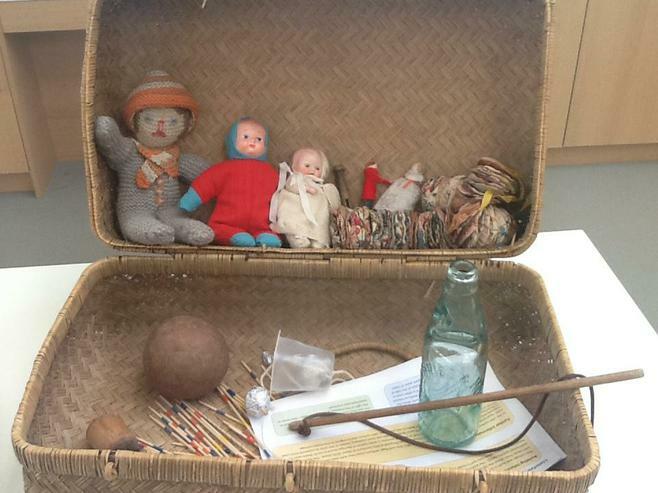 We were told all about toys from hundreds of years ago - how they were made, how to make them and how children would play with them. We even got to play with them. Some were trickier than others! After our work shop we had fun exploring some of St Fagans before heading back to school. Luckily, the weather was kind to us and we had our lunch outside. 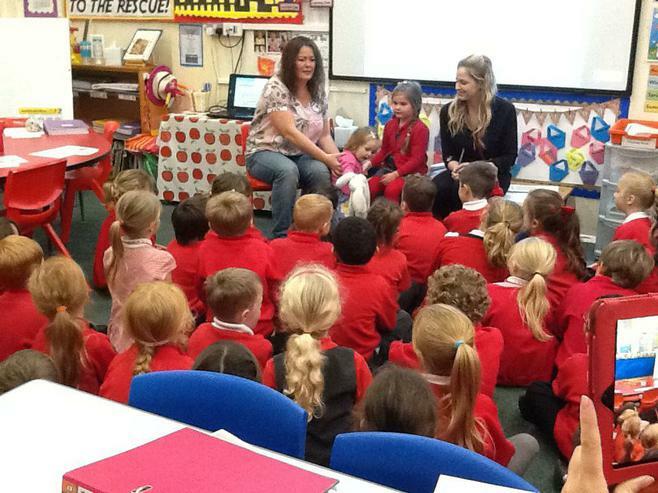 A big thank you to Ava's mum for bringing in baby Ruby and speaking to the year about what a baby needs. Mrs Clements explained why a baby needs lots of different equipment and answered the children's interesting questions. This has helped the children to use the resources in our role play area appropriately. During the year we will frequently be using the free Apple app 'Piccollage'. We kindly ask if you have access to the app, please could you download it and encourage your child to practice changing the background, change font and insert pictures and text. This will be very helpful as the children will often need to complete tasks on the app independently. 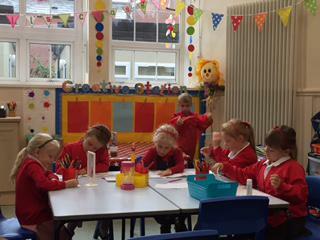 What a wonderful first week we have had in Year 1. The children have settled well and are having lots of fun exploring the different areas. Our webpage will be updated every week with news and photo's of the children. So make sure to visit regularly to see what they have been up to. We hope the children have enjoyed their week as much as the adults!